Weight loss master coaching involves dealing the body and mind. The way you “see” yourself, how you feel about what they see, and how you feel in their own skin is crucial. 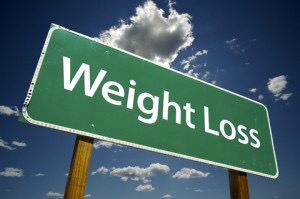 Weight loss coaching directly correlates with the physical, mental, and emotional state of the client. *Ashley creates a specific diet and exercise program for each client. Want to stop smoking but don’t want the weight gain that comes with it? For the majority of smokers, the ability to quit and stay quit is difficult if not somewhat impossible. Even more difficult, for the people who actually quit smoking, is to not substitute food for cigarettes, to stay at a healthy weight, and not gain the transfer of addiction pounds. Ashley has created a program where you can quit smoking. stay quit, and stay at or get to your ideal weight without yo-yoing. This program will end the cycle of transferring an addiction for food. Meeting 1: Prior to your last cigarette, we commence our first meeting, you will be given what you need to quit and to mellow the cravings. Meeting 2: On day 14, smoke-free, we begin the body renewal program where you get on your path to achieve your ideal weight. You will become more alive, vibrant, and happier because you will have more energy, you are proud of yourself, and you will have pride in your body and mind and your ability to set a life changing goal and succeed.